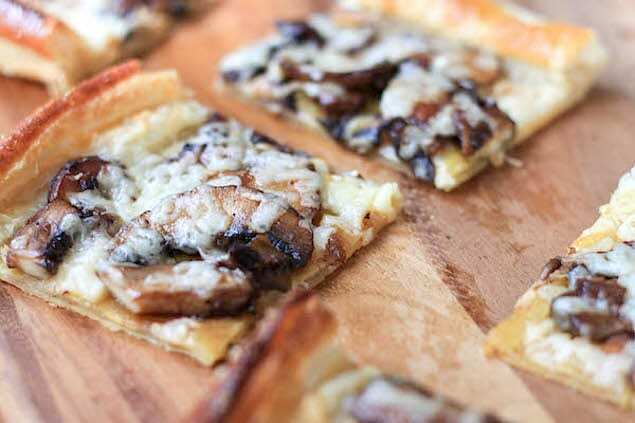 This mushroom and truffle cheese flatbread is the umami flavor bomb your tastebuds are looking for. 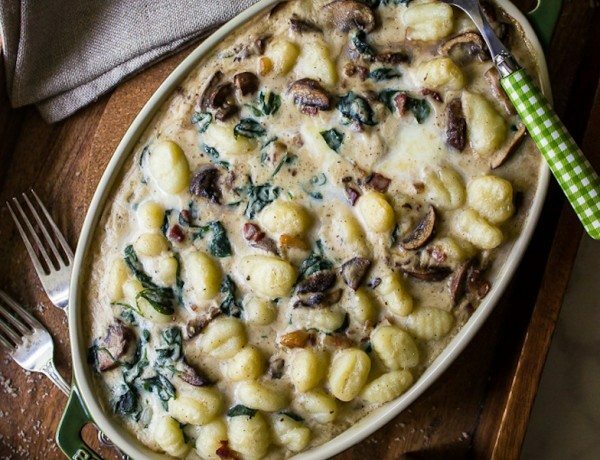 Make it Italian night with this quick and easy dinner idea for the whole family on a cold evening. 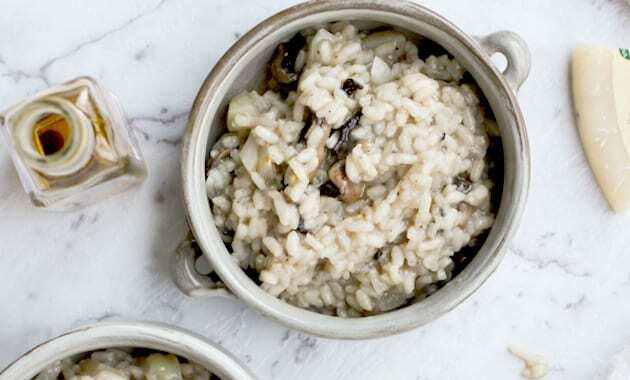 It’s that time of year again – when steaming hot, creamy risottos become an essential part of dinnertimes. 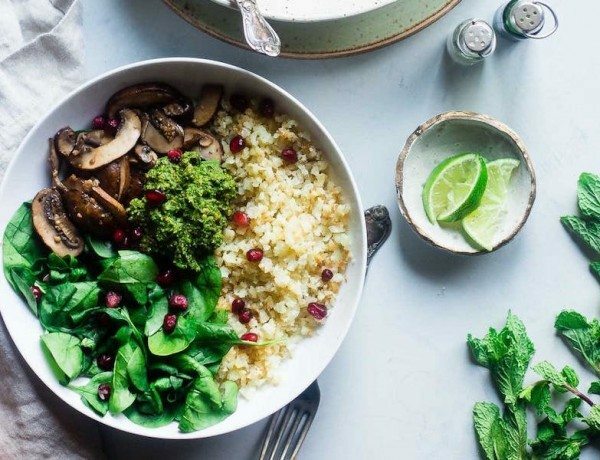 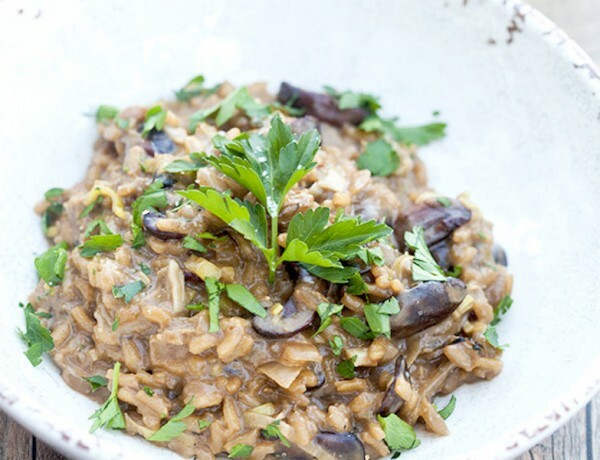 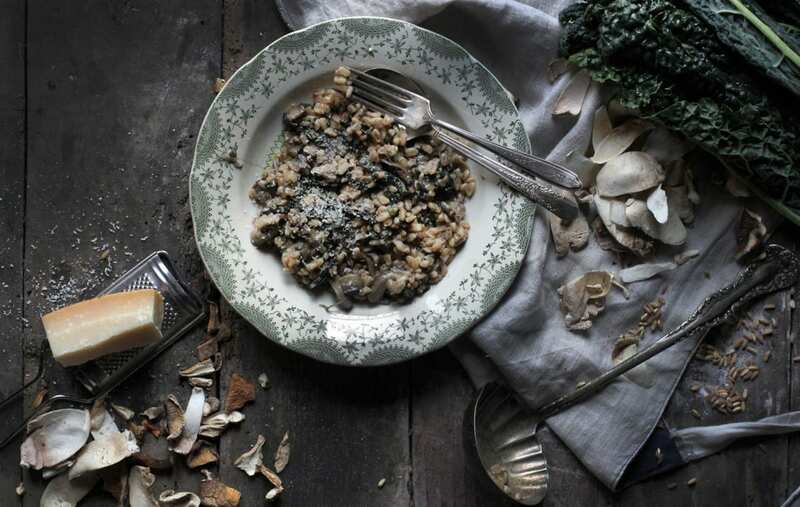 This mushroom and thyme risotto is a classic – and it’s super easy. 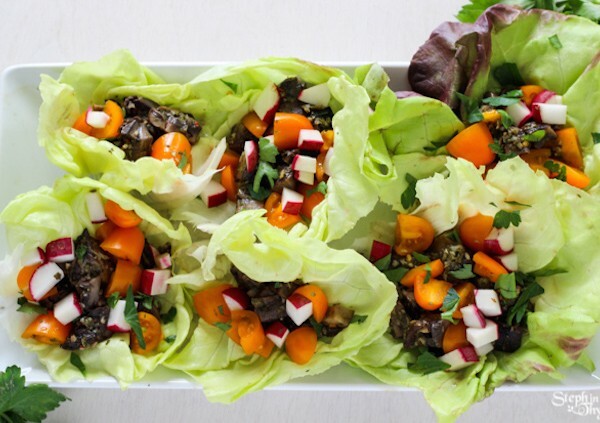 Happy Meatless Monday! 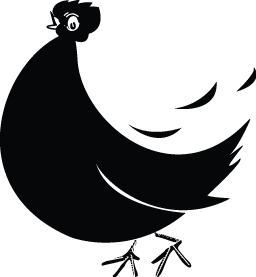 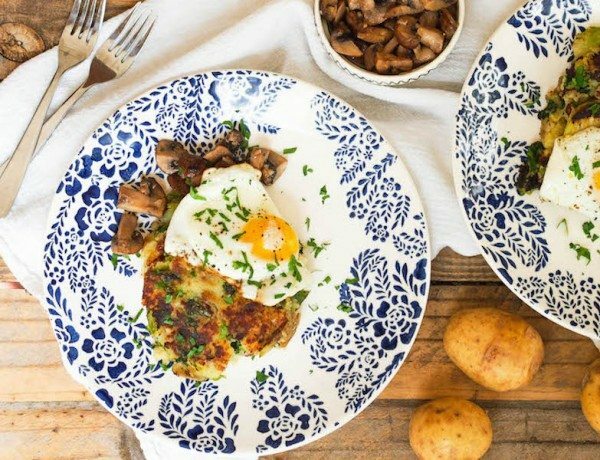 Use leftover potatoes and seasonal vegetables to make this fall bubble and squeak with garlic mushrooms and a fried egg. 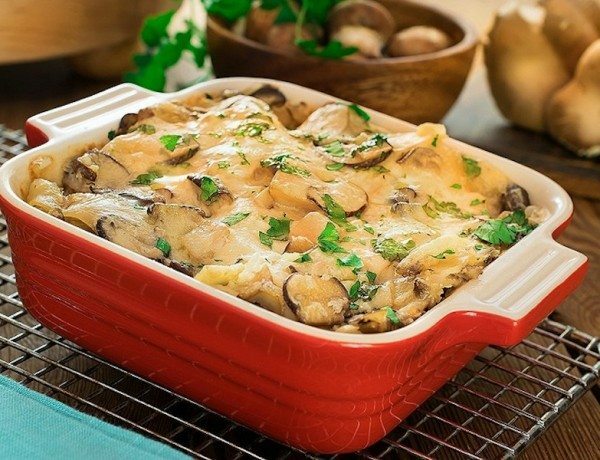 Mushroom Lasagnette is a hearty, filling dish that’s perfect for fall weather. 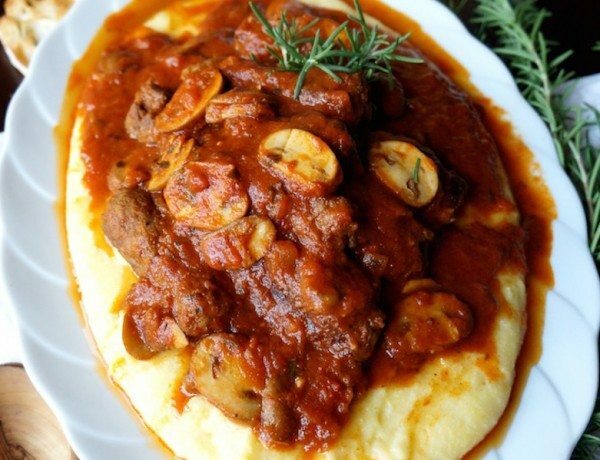 Fill up and warm up with an Italian classic! 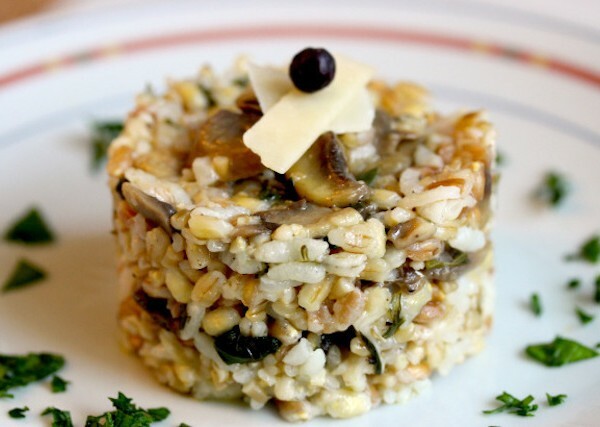 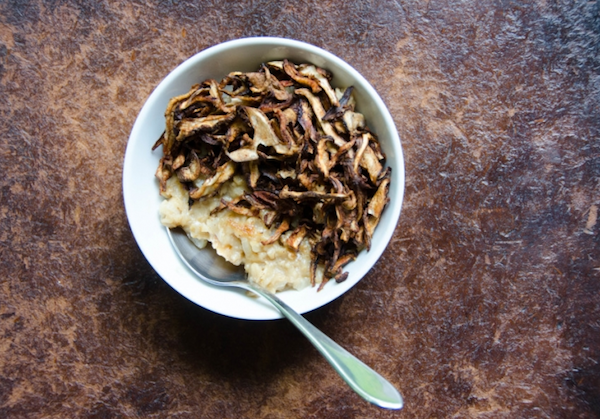 Mushroom Trifolati is normally served as a side dish all over Italy. 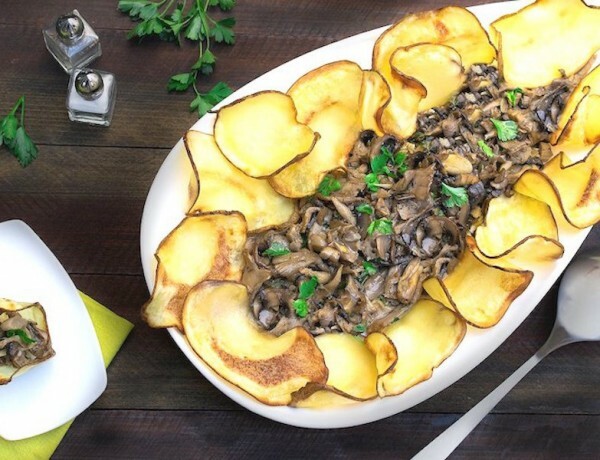 The addition of crisp, homemade chips turns this dish into the perfect first course. 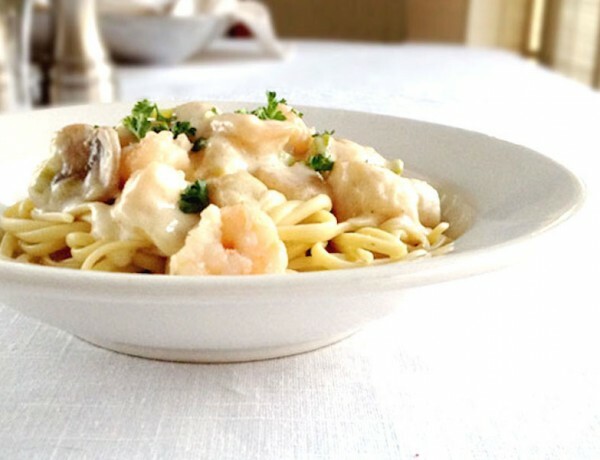 Creamy Seafood, Mushrooms and Linguine is a quick and simple dish that you can make in a single pot. 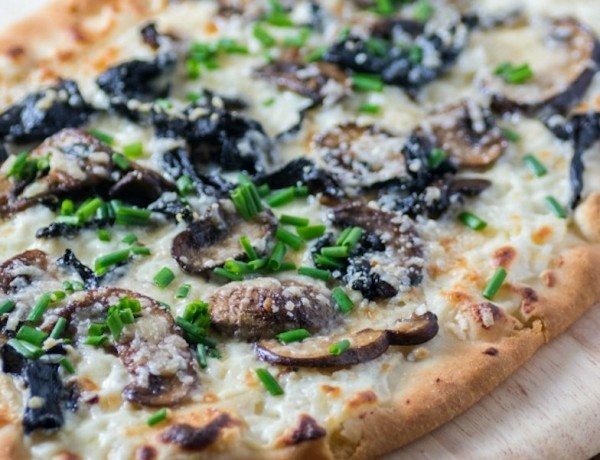 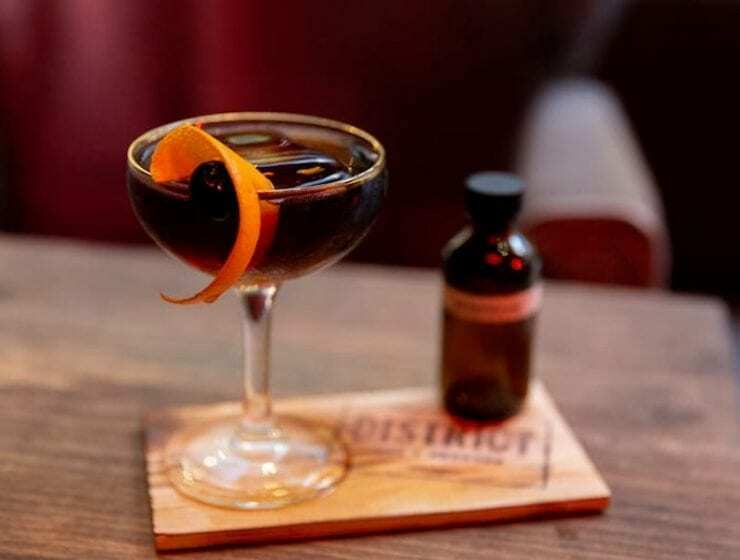 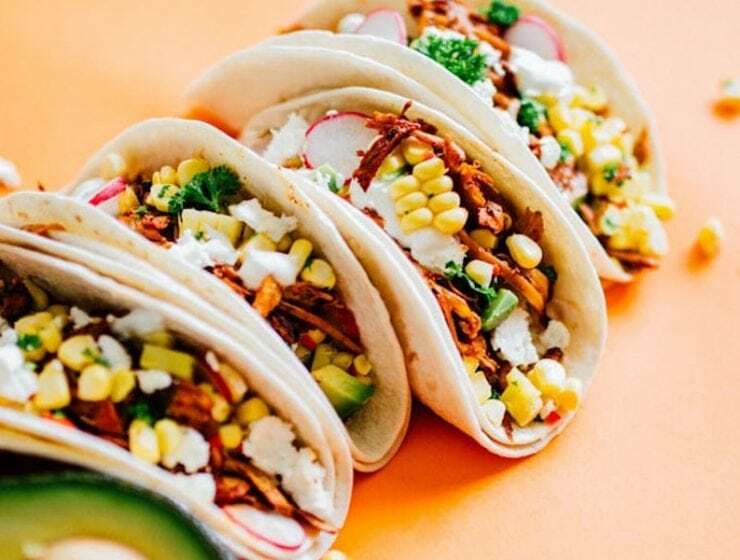 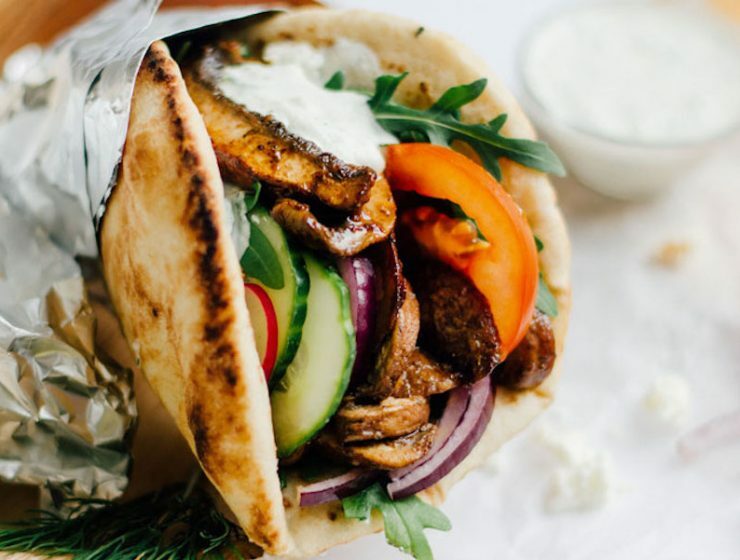 It’s simple, flavorful and sure to please. 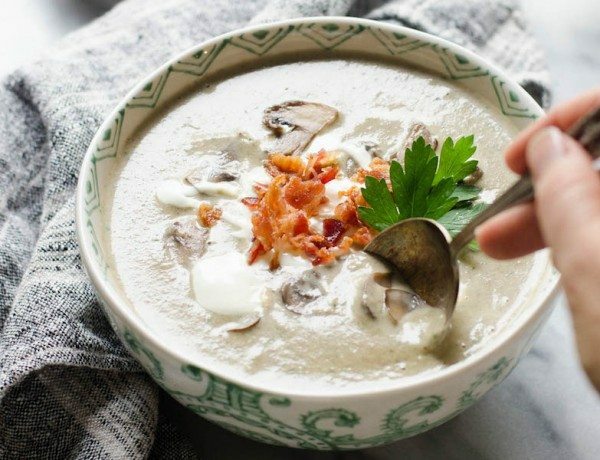 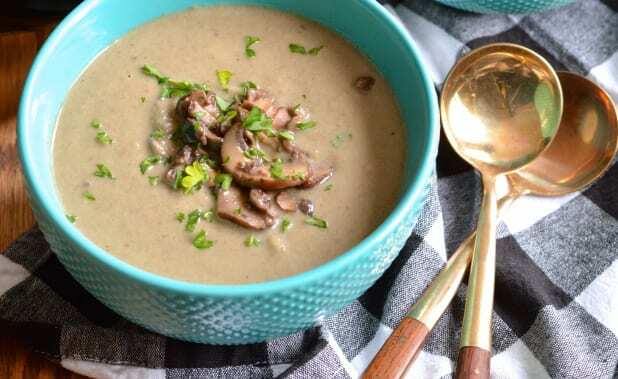 If you’re feeling under the weather or in need of a comforting boost, make this delicious mushroom and noodle soup with nutrient rich foods and warm flavors. 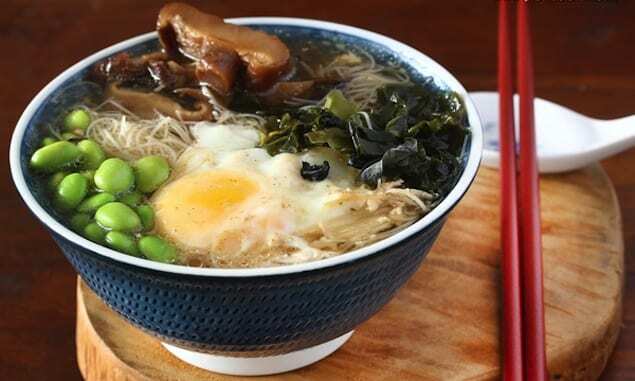 Soy sauce and a dab of butter launch this cheap and easy meal into full-umami territory. 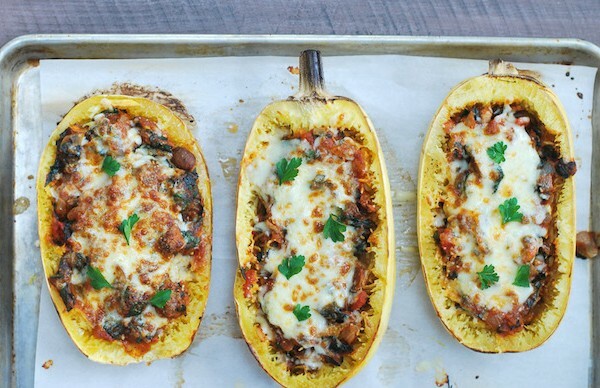 Add vegetables and grated cheese for a full bowl of deliciousness. 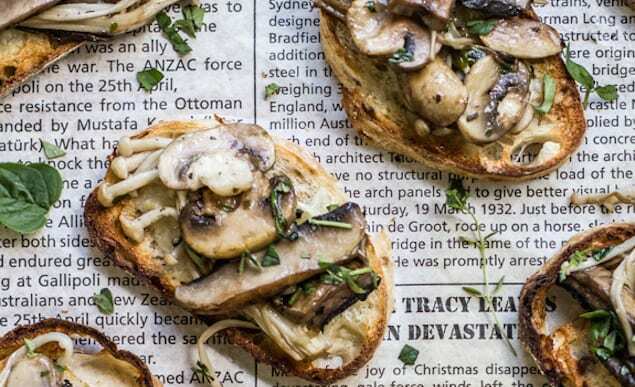 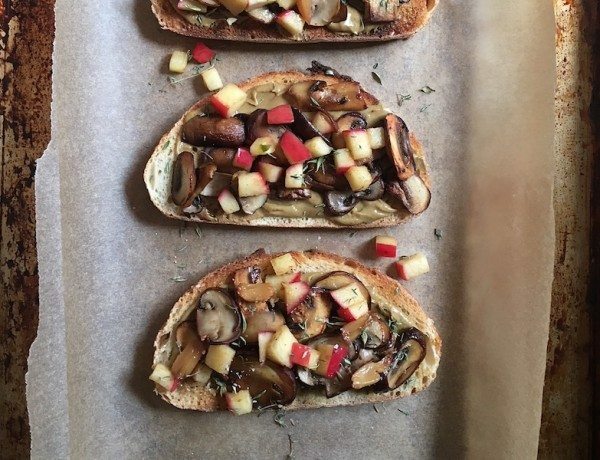 Autumn is the perfect time to celebrate mushrooms. 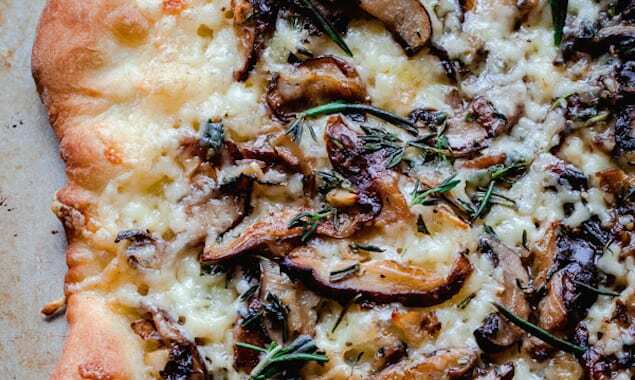 Check out our favorite recipes to make this season featuring fungi. 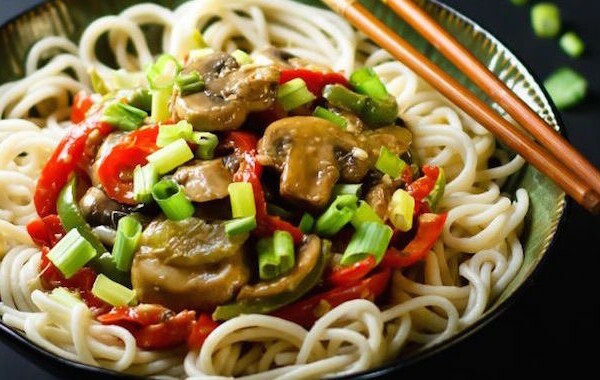 A flavorful mushroom stir fry is served over warm noodles with your favorite vegetables for a filling bowl that can be made in minutes. 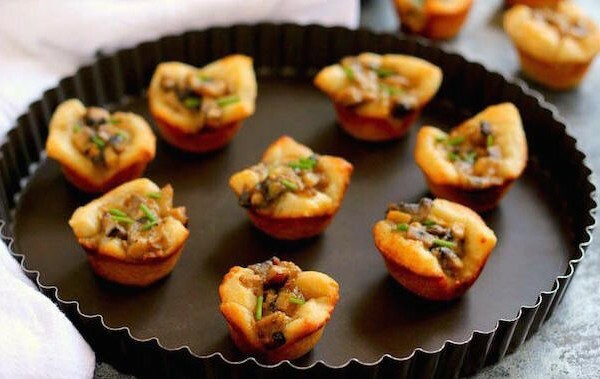 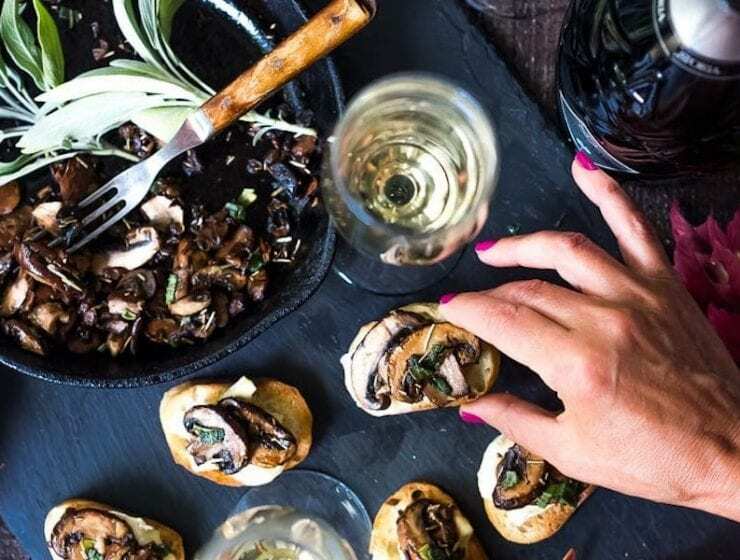 Filled with mushrooms, parmesan cheese, and spices, mushroom and parmesan bites are packed with flavor and a perfect party appetizer, easy to pair with wine. 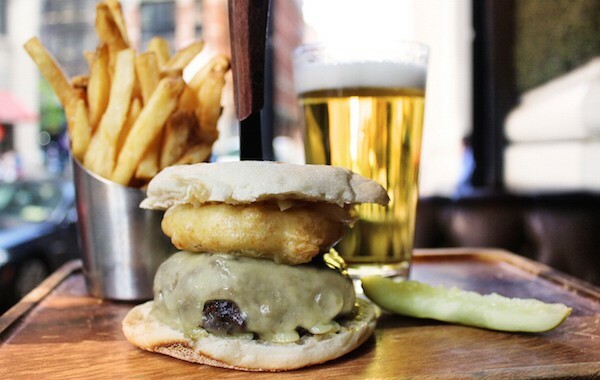 The Ainsworth restaurant recreates their burger to included delicious cremini mushrooms and a touch less meat. 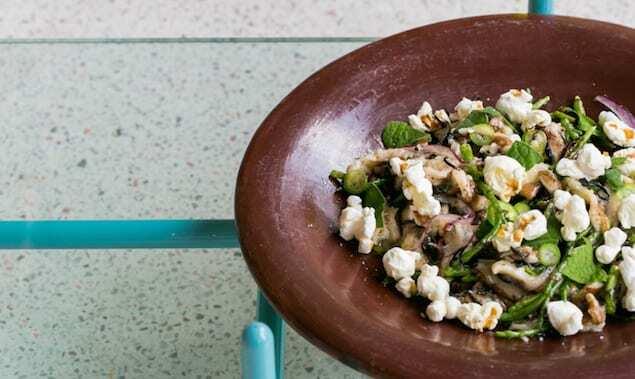 A beautiful vegetable salad with full-flavored mushrooms, Mexican herbs, and a crunch of Arame popcorn. 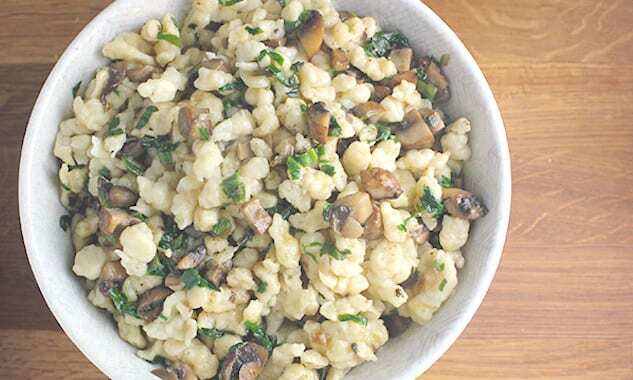 Basic spätzle is combined with lemony sautéed mushrooms and ramps for a quick and easy spring side perfect with grilled meats and vegetables. 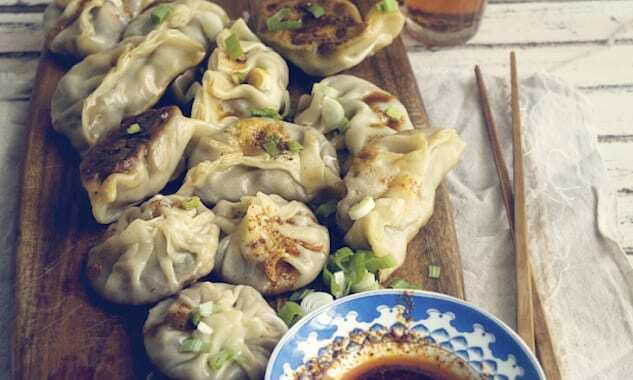 Once you master the shape, fill potstickers with anything you choose. 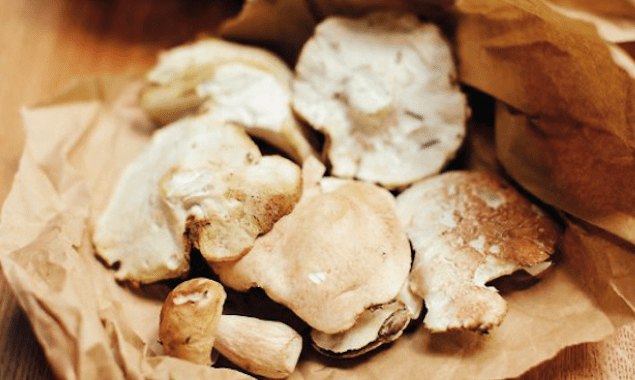 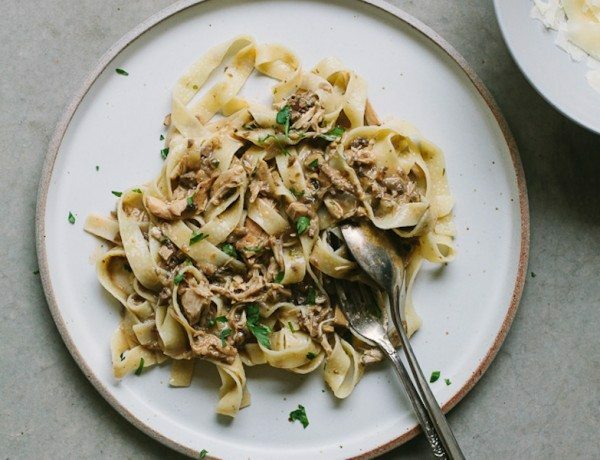 For unique texture and flavor, this recipe uses shiitake, oyster, and button mushrooms. 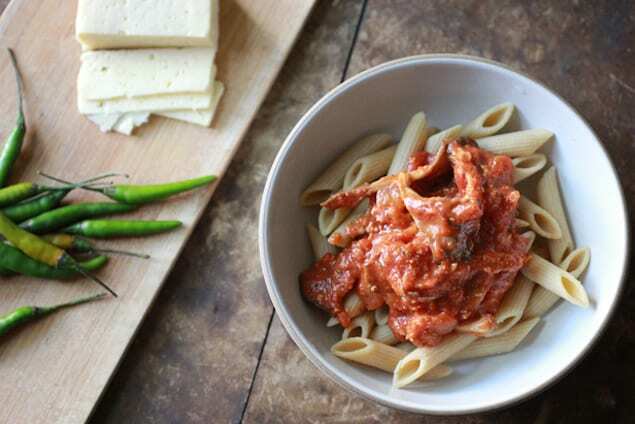 A quick dinner or brunch with hearty veggies and a luscious tomato sauce that can be made ahead. 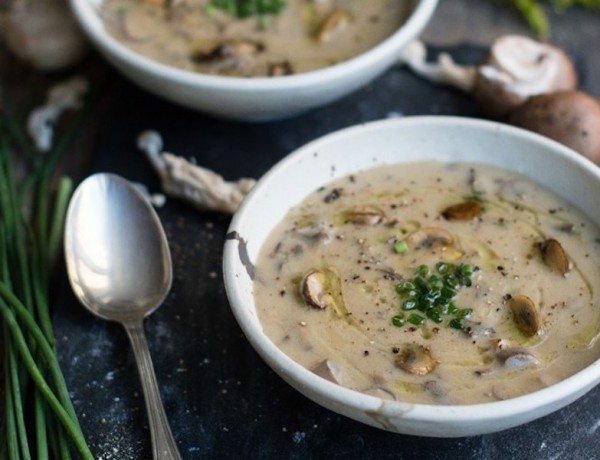 Roasted cauliflower gives this vegan soup a silky, creamy, rich and hearty flavor. 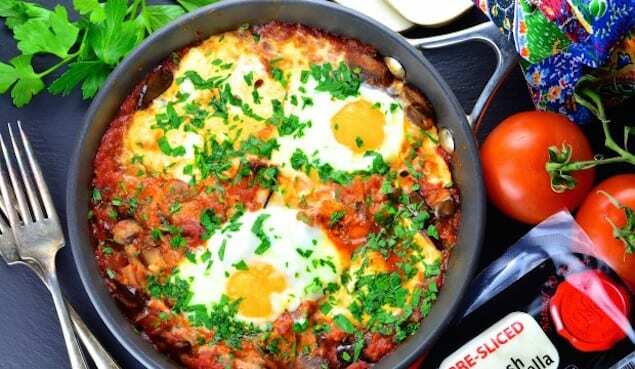 A perfect breakfast or brunch to make ahead with leftover veggies, old bread, and delightful dill cheese and eggs. 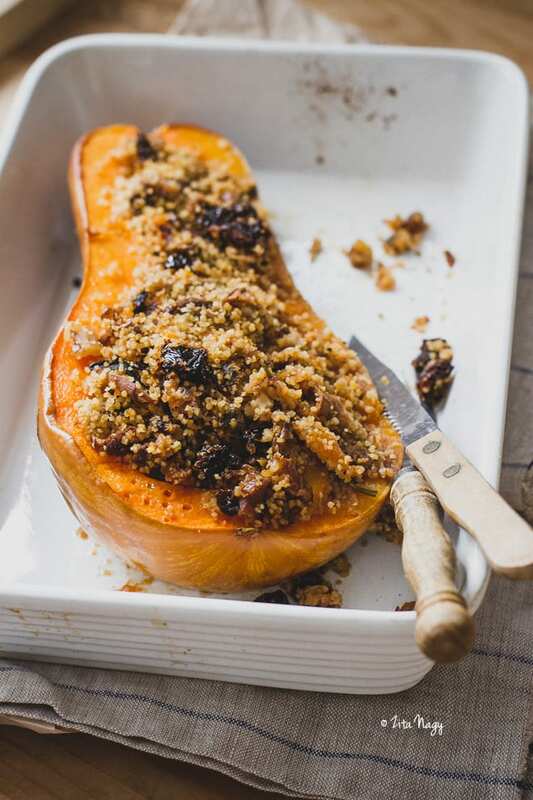 Wake up and throw it in the oven. 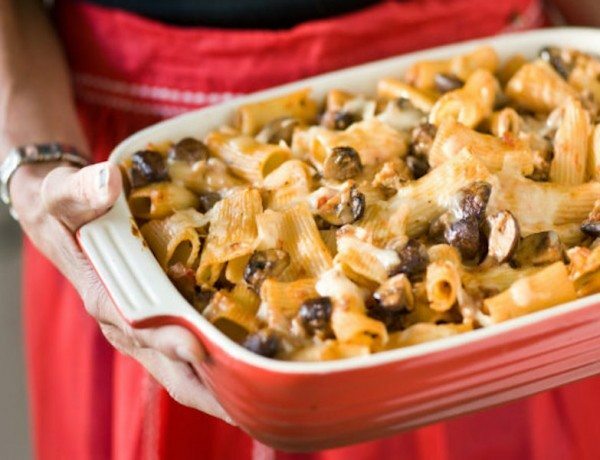 The chill of winter has set in, and there’s no better way to ease into the seasons than with a giant bowl of spicy and cheesy pasta. 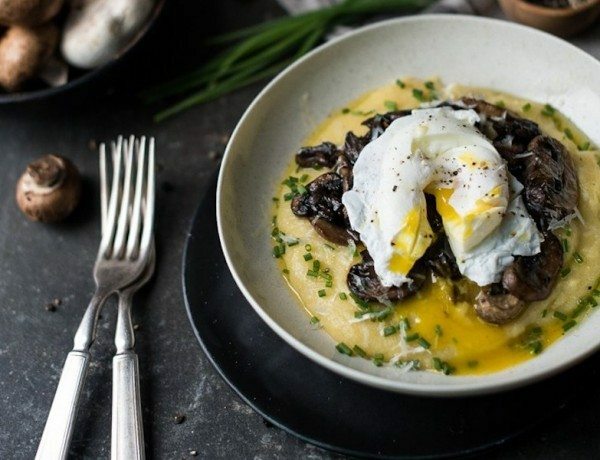 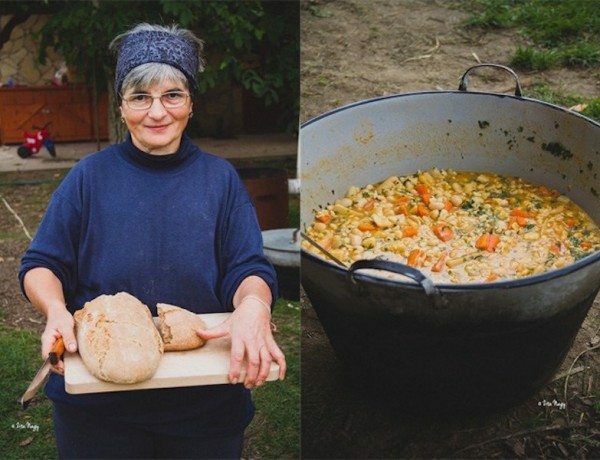 Rye flour and mushrooms are what makes this meal substantial. 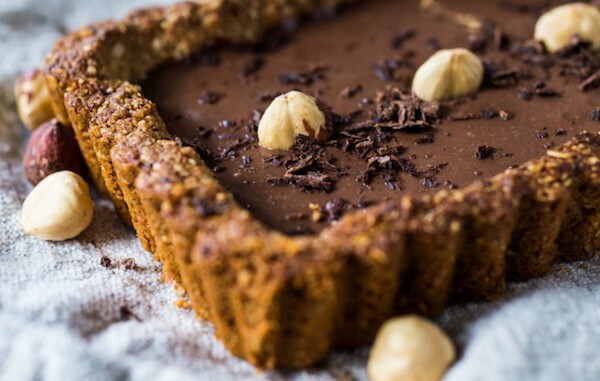 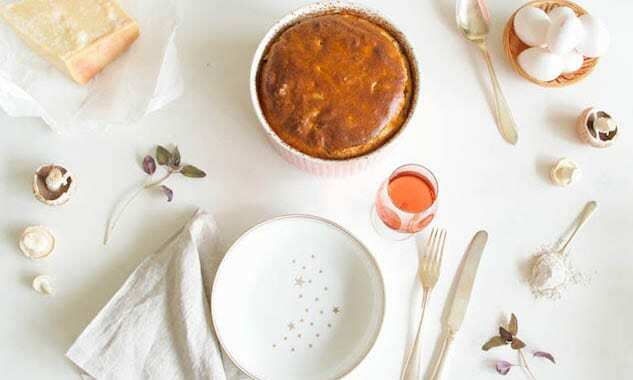 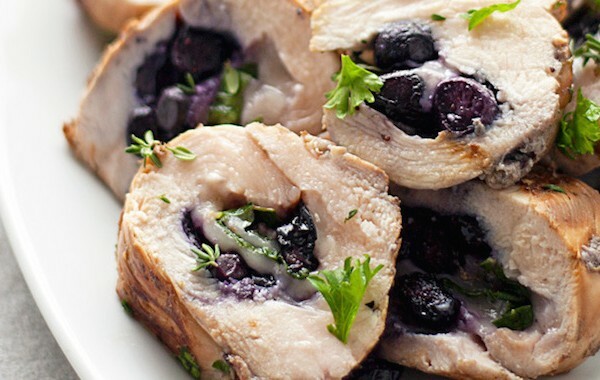 It is light, airy but filling, flavorful and impressive enough for guests. 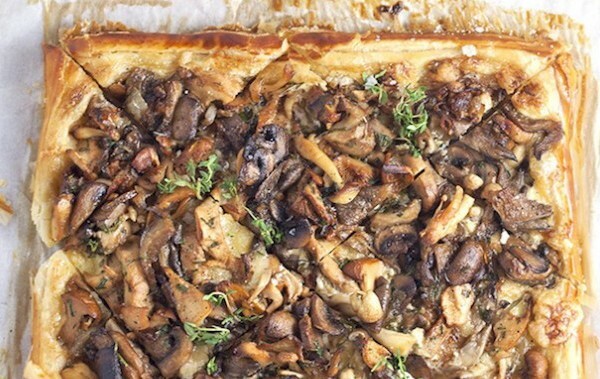 Mushrooms sautéed in butter, garlic, and sherry wine with Castello Aged Havarti Cheese in one delicious puff pastry flatbread. 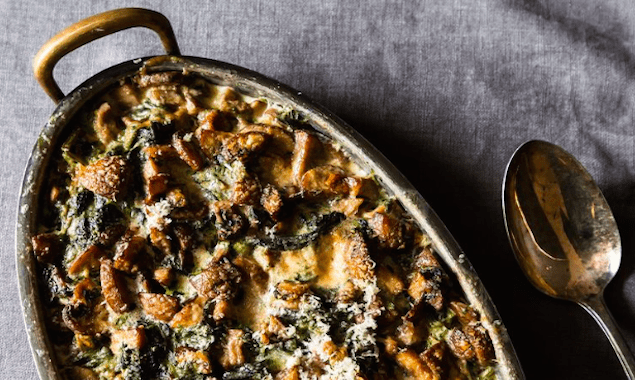 A heart warming, satisfying fall dish loaded with the flavors of Tuscany. 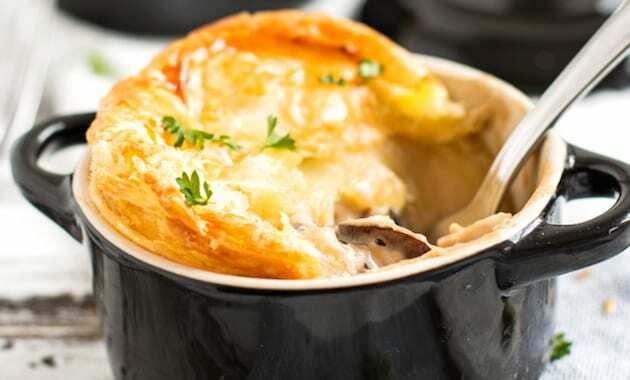 These chicken and mushroom pot pies come together in a cinch for a quick and comforting dinner. 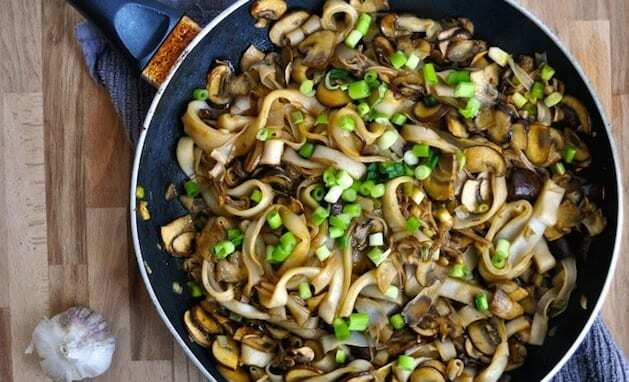 Cut down on dishes without ditching on bold flavor with this simple soy sauce, mushroom, and rice noodle dish. 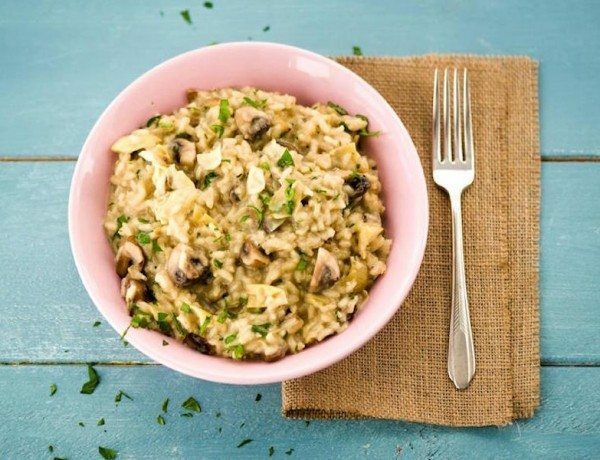 Risotto, when done right, can be a truly comforting dish. 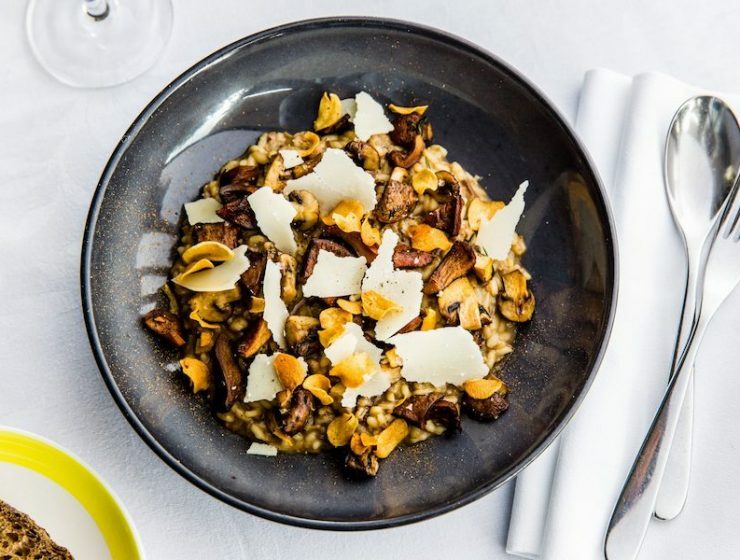 Check out the tips for making perfect risotto and a fennel, mushroom and truffle version to boot. 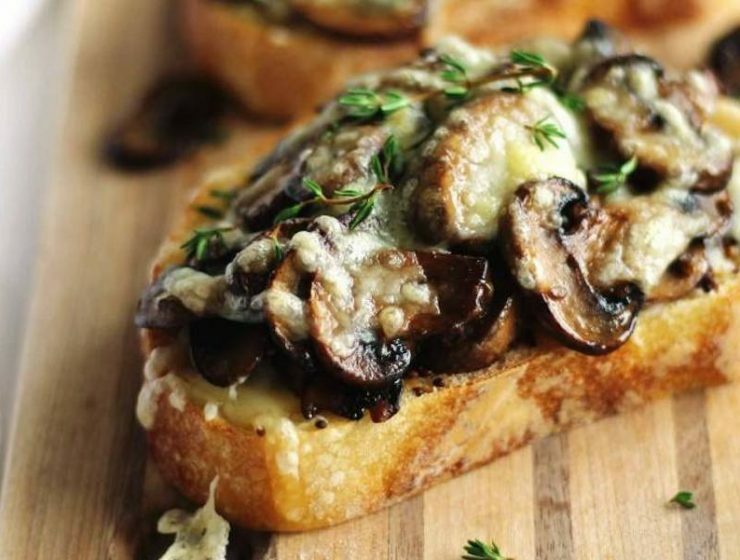 Portobello mushrooms are marinated in a lager beer vinaigrette and then grilled. 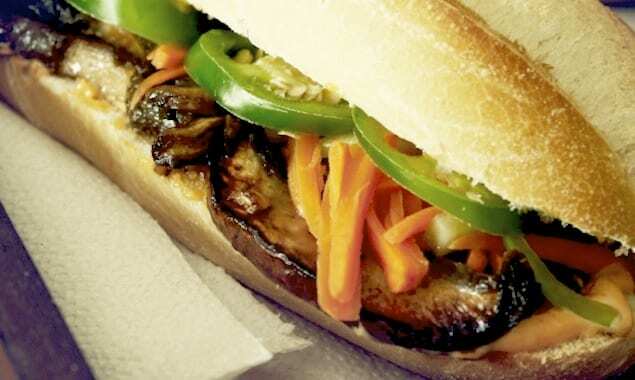 Top with kimchi, cilantro, and jalapeños. 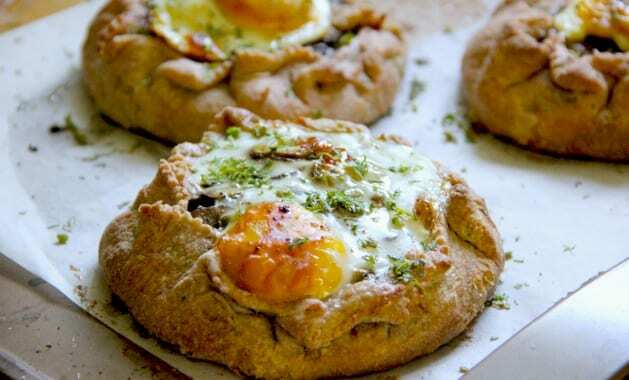 With a cracking crust, these buttery wells are filled with mushrooms and herbs, then topped with a cracked egg. 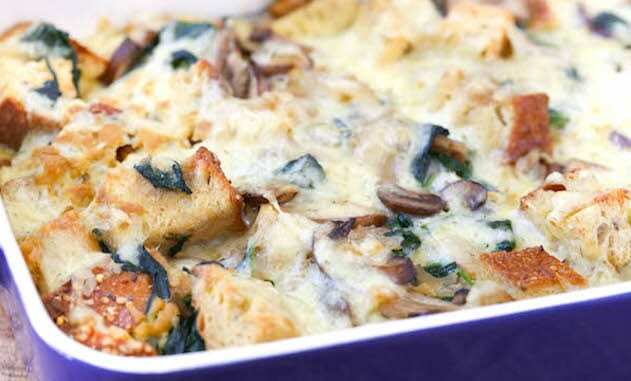 A baked meatless option for a quick dinner. 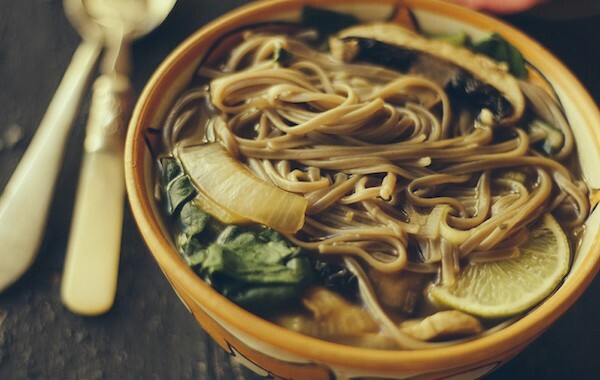 Edamame Mushroom Miso Noodle Soup is fast and filled with nutrient rich miso in just 15 minutes. 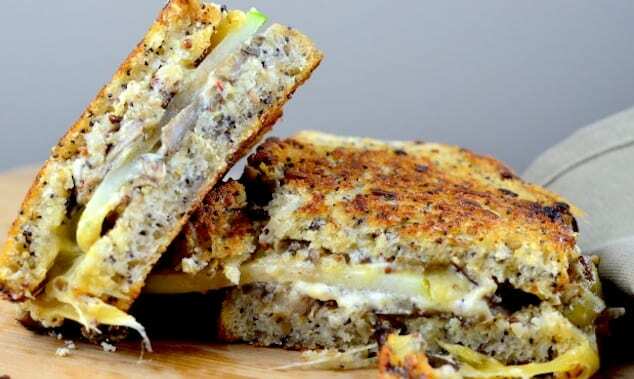 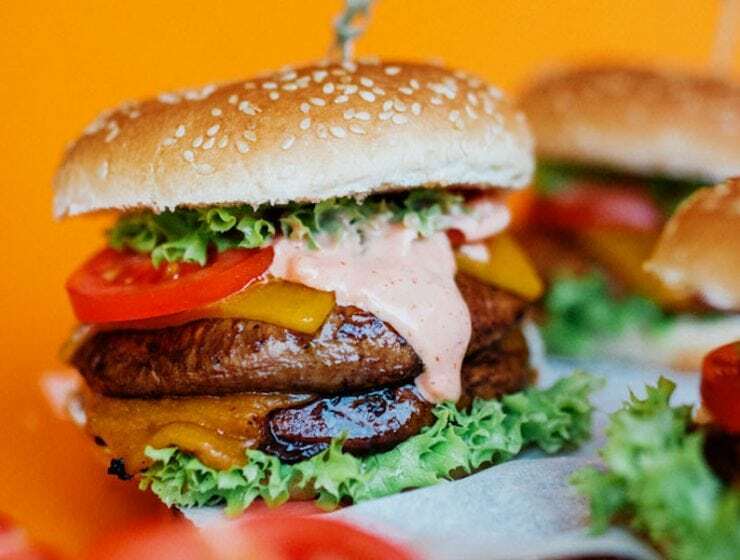 There’s no meat and no bun in this “burger” but it’s a great way to satisfying a craving if you’re a vegetarian craving the meaty, cheesy treat.